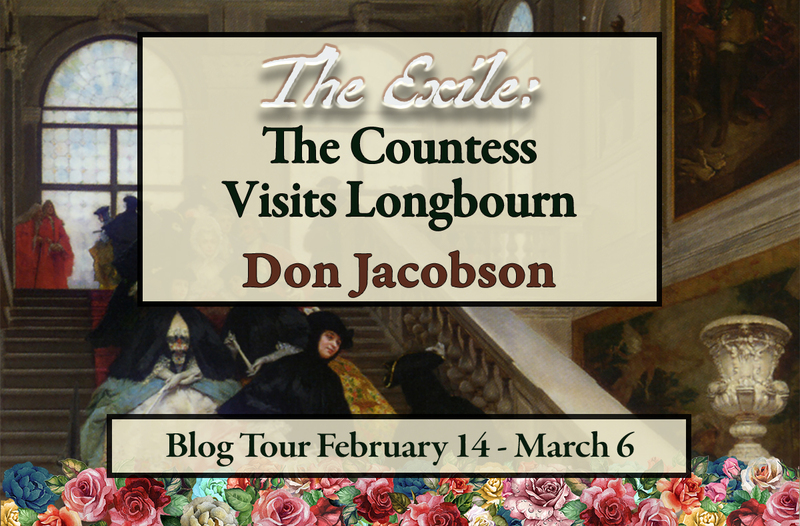 Welcome to From Pemberley to Milton for a new post on Don Jacobson’s blog tour of The Countess Visits Longbourn. This is Don’a latest release on the Bennet Wardrobe Series and I’m thrilled to be sharing with you an excerpt that reveals the first moments after The Countess has confronted the street rats assaulting two soldiers (Sergeant Wilson and Corporal Tomkins) in the mews behind Madras House. T’is here that Wickham steps into the frame and joins, for a time, the household of the Dowager Countess of Deauville. Who can resist the magic of time-travel? Pages of worldwide history rustle back and forth between Regency grand salons, Napoleonic battlefields and more recent conflicts as, guided by Don Jacobson’s masterful pen, the Bennet sisters grow as people and come into their own. 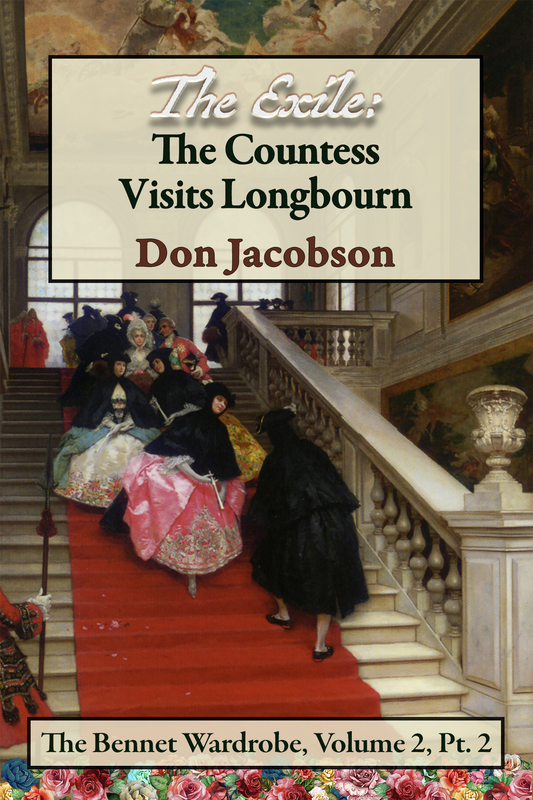 ‘The Countess Visits Longbourn’ is a wonderful new instalment, and we cannot fail to revel in the excellent writing and the abundance of detail as the mysteries of the Wardrobe continue to unfold. This captivating series, that brings together real and much-loved fictional characters from all walks of life, is one to savour, and I will revisit it again and again. Like a tableau staged by the ladies after dinner at any of a number of country estates dotting the landscape, figures were frozen in place throughout the small square. The only sounds were the dying notes of a brassy ting-ting as something tiny and metallic bounced on the paving stones. The two soldiers were huddled by the wall of what was clearly the laundry shed. The two remaining criminals stared at their fallen leader, mouths agape at the sudden punctuation that signaled his end. The lady stood at the bottom of the back stairs, arm outstretched with smoke rising from the pistol’s muzzle, her whitish hair escaping from beneath its protective kerchief. Her eyes, too, were locked on the corpse, a darkening pool spreading from beneath the edge of its immobile torso. Finally, there was Wickham, in the act of drawing his blade, one leg forward at the very beginning of his charge. For a moment, the only movement was made by the shadows thrown by the actors, cast as they were in the guttering orange glare of the pitch-fueled torch. The officer was the first to break his pose. He strode into the arena directly behind the two attackers who were only just beginning to consider their three options: continue the attempt on the woman; continue the attack on the soldiers; or begin their flight. The unmistakable sound of Wickham’s sword being hauled into the chill air clarified everything in the assailants’ minds. They spun as this new threat pressed upon them. Wickham allowed his cloak to fall open as he waved the pewter grey length of steel from man to man, mesmerizing each like a fakir charming a snake far more deadly than either of the muggers. The buff lapels of his uniform cemented the impression that he, unlike either of his opponents, was a trained killer. They had no way of knowing that Wickham had never served outside of the country. However, in spite of this ignorance, they easily concluded that there was no way past the sword or its bearer—no escape back into the sewers from which they had risen. Both men spread their arms away from their sides and dropped their weapons—one a makeshift dagger, the other an iron-studded truncheon—to clatter upon the slick cobbles paving the rear area. Flashing a sardonic smile at the unfortunate pair, Wickham spoke softly, using every ounce of his inner Darcy, recalling that Fitz’s threat increased the more the tone of his voice decreased. George had heard that awesome tone of Darcy’s voice only twice in his entire life in spite of all the years the two had aggravated each other—first in Ramsgate and then, later, upstairs at Mrs. Younge’s boarding house. That he had been on the receiving end of both addresses…and that both had been because of injury he had inflicted upon women dear to his god-brother…helped him direct the present fury that inexplicably boiled up inside of him. These pustules on society’s arse forced her hand. I would gladly skewer one and fillet the other but for the fact that this lady has undergone enough. She has yet to move. Likely she is trying to comprehend what she has done. Women do not kill. They made her do so. And, it is clear that this woman is no mere maid of all work. She is quality of the rarest kind! They bent and grabbed the body by the armpits. When they had managed their burden, Wickham spoke in the same awful and quiet manner. “Lest you think to improve your lot by extorting an advantage from the lady, know now that this house is under my protection. While I imagine she can amply fend for herself, I would not have a gentlewoman of her standing sully herself with the likes of you. “I can assure you that all you ever will receive is the full attention of my little friend here. He stepped to one side to make way for the procession. Once they had clearly vanished into the alleyway, he turned back toward the woman. Her arm had dropped to her side, but George Wickham was no fool. He knew that she could very well perceive him as a threat. Whatever she held in her hand was powerful and lethal. He could not bank that it was some sort of single-shot lady’s pocket pistol. Sheathing his sword, he offered soothing sounds as he began to approach her. “My Lady? My Lady? My name is George Wickham.” At his name, her gun hand jerked upward, but swiftly sagged down again as if she were grasping a twelve-pound cannon ball rather than a compact firearm. He had halted his gradual movement when she reacted, but now began again, slowly coming within five feet, then three. “I am a lieutenant in His Majesty’s Army. The attackers have fled. You defended your house and these unfortunate soldiers. For that I must thank you. He made to reach for the pistol. Concerned, her eyes flashed up at his, something crossing beneath her brows that confused Wickham. T’was as if she recognized him in some manner. Then the look vanished as all of her features smoothed. She firmly moved the weapon back behind the skirts of her housecoat. In a well-modulated voice betraying the slightest accent, she said, “Ah, Lieutenant…Wickham…is it? Thank you for your concern. I assure you that I am trained in the use of my pistol. I will not involuntarily puncture that fine uniform jacket of yours. However, I do believe that I would feel more comfortable retaining control of it right now. “You, though, might be better served in seeing to your men,” she suggested in a tone which left no room for dispute. Wickham began a snappy retort, “They are not…” but broke off when her china blue eyes flashed in anger. Officers in the British Army care for all men in the ranks once the battle is finished; quarters for them before officers, likewise food. He sheathed his sword and moved over to where the sergeant was trying to tend to his comrade. “Sit back, Sergeant. Allow me to use the light to assess your companion,” Wickham ordered. Used to—and therefore quite comfortable with—an officer leading the way, the Sergeant rolled away to sit with his back against the wall of the wash shed, his breathing became ever more regular as the battle fever was washed from his bloodstream. His long legs were bent at the knee, and his feet were flat on the ground. Beneath a scarlet tunic, faded to near pink from months in the Iberian sun, stained pantaloons stretched like drumheads across his massive thighs. His lower legs were encased in fine French dragoon boots—spoils of successful combat—rising from his soles to above his knees. Near white, but still blonde, hair covered the crown of his head, exposed now that his shako had been knocked clear as he sought to defend his file-mate. Everything about him shouted soldier, and a successful one at that…except for the grimy bandages covering his eyes. Wickham gently rolled the supine soldier over onto his back. A large knot graced the left side of his head, a tiny trickle of blood losing itself into his short brown hair. A moan escaped his lips as his eyelids fluttered in a sign of returning consciousness. Shortly his eyes blinked open, and he tried to rise. “Easy man. You took quite a knock to your noggin. Move too fast and you are liable to puke up your last meal if you could get upright, let alone to your feet. The lieutenant turned and looked in appeal to the lady. “Ma’am…while I talk with these men, might it be possible for you to find two trusted men to assist us. We need to move them inside. I fear that this one may be concussed. The other is rather obvious,” Wickham asked. Kitty nodded and turned on her heel, mounting the stairs and disappearing through the kitchen door. The Sergeant waited until the lady’s footfalls had vanished. The he spoke up. “Excuse me, Lieutenant, sor, but I am the senior subaltern present. Tomkins is but a corporal. “Mr. Wickham, I am Henry Wilson, Sergeant, and my companion is Charlie Tomkins, a Chosen Man. We serve in the First Battalion, South Essex Regiment under Mr. Sharpe. The Cap’n detached Tomkins and me after I was injured in a skirmish with the Frogs about a month back. Some idiot of an artilleryman dropped his slow match into the powder limber when he was retreating. “Blew him to Hell and back, it did, sor. I got caught by the edge of the blast and my eyes were hurt sore bad. Tomkins has been trying to lead me back to his former establishment here in Town—Cecil House. He was a second footman there. His brother is in service to the Cecils as well. We were hoping to find a night of bed and board, but got caught out by the distance. Wickham looked with pity at the big man. His future as a blinded veteran was bleak. Better if he had died in the explosion. As if reading Wickham’s mind, the Sergeant said, “Worry is not part of the way I am made, sor. I know that the good Lord will know what to do with Henry Wilson. I just want Charlie to be all right and be able to drop me at the depot in Colchester. Then the regiment can muster me out and get me my back pay. The return of the lady and two men, one older accompanied by a larger younger man, cut short any further thoughts the Sergeant may have offered. 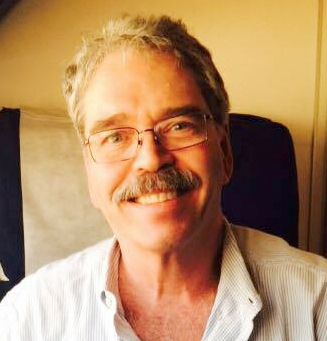 Don Jacobson is offering 12 books, 10 eBooks and 2 Paperbacks, to readers following his blog tour. The giveaway is international and to enter this it you can click on this link. Congratulations on your latest release Don! Those who have read your series are delighted to see it and wish you much success!! Thank you for your kind words! It is always a pleasure to find my book next to one of yours. Great excerpt. It’s strange seeing George Wickham going good, I liked how he decided to emulate Mr Darcy when talking to the men. This is the smallest bit of the “new” man. He still has growing to do. It only gets more interesting as the book progresses! Loved it! Thank you for the great note and, as always, your support. Oh, my, Kitty running into Wickham! This should prove interesting. Interesting about the “new” Wickham. I have to find time to read this. Thanks for sharing. Congrats on the latest release in the series! Looking forward to reading it! This series tickles my curiosity constantly and I have just been delaying so I can read them back to back – I know I will need to know it all at once and waiting for the following installments would be torture! The premise of thew Wardrobe Series is enticing and I am quite sure, from the excerpts I’ve been given the opportunity to read, that I’ll love it – not to get to it! I have only just read this excerpt and it’s very good. Great to know that Wickham has turned over a new leaf and help the Countess, Sergeant Wilson and Corporal Tomkins. It’s quite out of character for him but I would like to believe that he is capable of changing his bad attitude.